I love having decor that I can change with the seasons. I don’t want anything too labor intensive but something that makes me smile and helps me enjoy the season even more! I love fall leaves and all the beautiful fall colors that paint the landscape! I do really love all the colors of the fall leaves, but unfortunately I can’t preserve the colors and they turn brown pretty quickly once I’ve brought them inside. 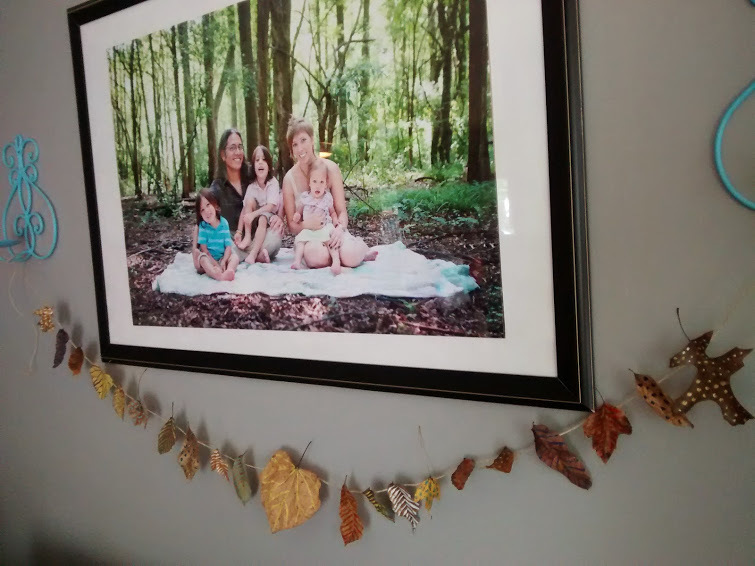 So decorating with real leaves and wanting more color than just brown can be a bit difficult. I didn’t want to buy anything new this year and I didn’t want it to take a lot of time, so I just kept my eyes open to ideas that may come along. And… it worked! I happened across this post on pintrest! Mine didn’t quite turn out the same, but it was fun to work on, I had everything I needed to make it and it added fall cheer to the room! 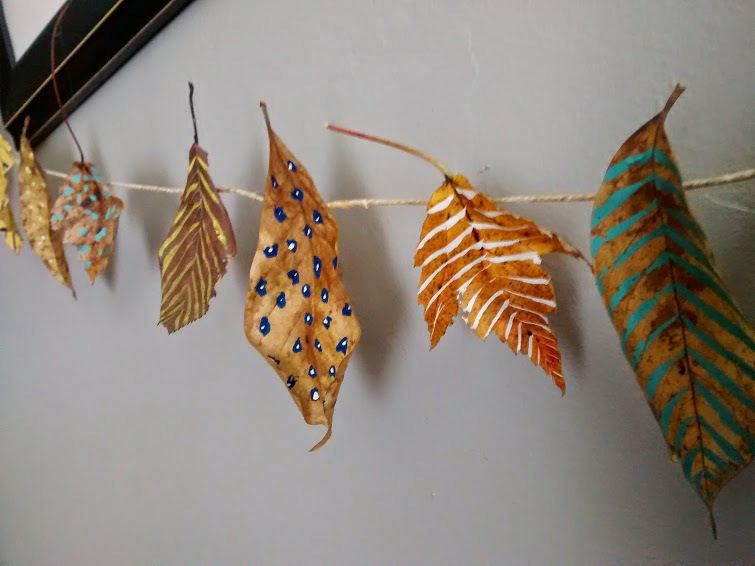 this is the original that I happened upon at Alisa Burke’s blog.celebrate-fall.html Check it out for detailed instructions of how to make it. My boys usually rest or play quietly together for 2 hours in the afternoon and the girls usually nap for about 1-2 hours, so it gives me a little free time to do projects like this! This one I easily finished in that amount of time and had it hanging for when they got up! Aisling the true girl noticed it as soon as she came down the steps! I gave the boys a hint something was different and they looked and looked and still had to be told! 😉 Funny! Anyway… I’m enjoying some fall decor as well as some of my pumpkins and acorn sqash adorning my kitchen table. What do you do to welcome fall and celebrate the change of seasons? I’d love new ideas!